How to Restore A System Image to New SSD? Windows 7/8/10 users may want to replace their old HDD with a new SSD. To make and restore system image to new SSD would save a big trouble. Why restore system image to new SSD? Hard disk drive (HDD) is the traditional storage device. In the previously days, most of computers used it to storage data. But with the time went by, people found that the volume could not be enough to store all the data, and it was easy to break up and some other shortages. Later, the solid state drive (SSD) came out. It has covered many shortages of HDD--larger volume, safer storage, safer running speed, smaller noise, and so on. Thus, many users want to change their old HDD to SSD. Besides, many people change to the new SSD because of the broke of their old devices and they want to get a better performance. SSD makes the computer perform better. Thus, people all like to change the devices before to new SSD. But some of them stored the very important data on the old storage devices. Those people want to change the device, but do not want to abandon the old data. Is there a way that can change the old storage device to SSD and keep the old data? First, you need to create a system backup image by using the “File History”. Click Start, and type “File History” in the search box. 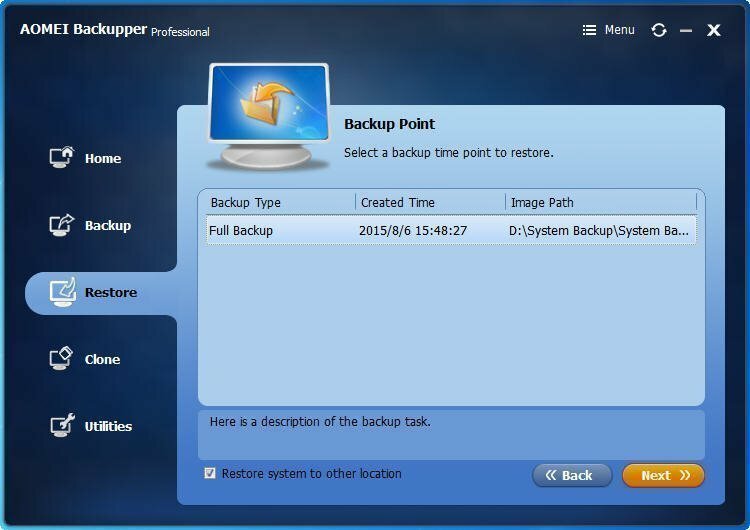 Then, click “System Image Backup” at the bottom of the left navigation bar, and follow the guide to create a system image backup and create a system repair disc. Then, boot the Windows from the bootable disc, follow the guide to restore system image to SSD. However, Windows built-in tool will create a system backup image that takes a lot of space, and the restore system image process is complicated. If there is a freeware which can create system backup image with a lower space, and restore system image in a simpler way, why we not try it? 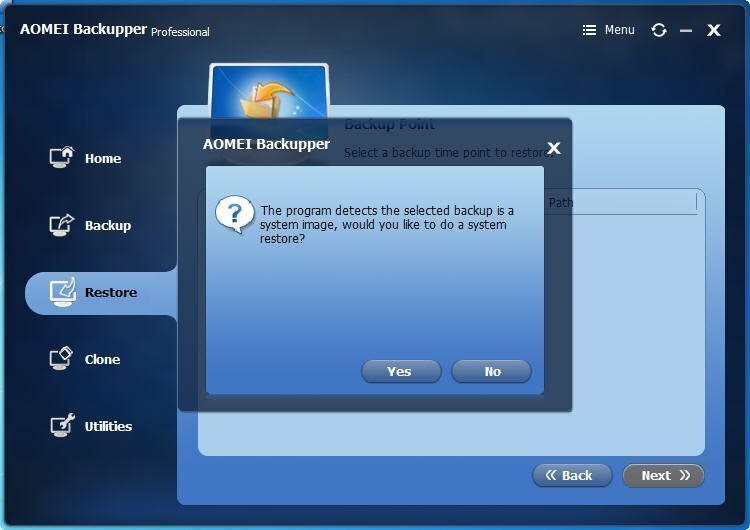 AOMEI Backupper Professional can help people backup and restore system to new SSD in a few clicks. It can work well with Windows 10/8//8.1/7/Vista/XP. You need to prepare a new SSD which is enough to store the system image. Create a bootable media on the new SSD so that you can boot the computer from the new SSD. Or you can use the PXE boot tool. Create a system image with AOMEI Backupper. Step1. Boot the new SSD from the bootable media you created before. The AOMEI Backupper’s interface will be shown at your sight. And you will see the system backup file at the Home tab. Click Restore. Step2. It will detect that you are doing a system restore and it will pop out a window to ask you whether you’d like to do a system restore. Click Yes. Step3. 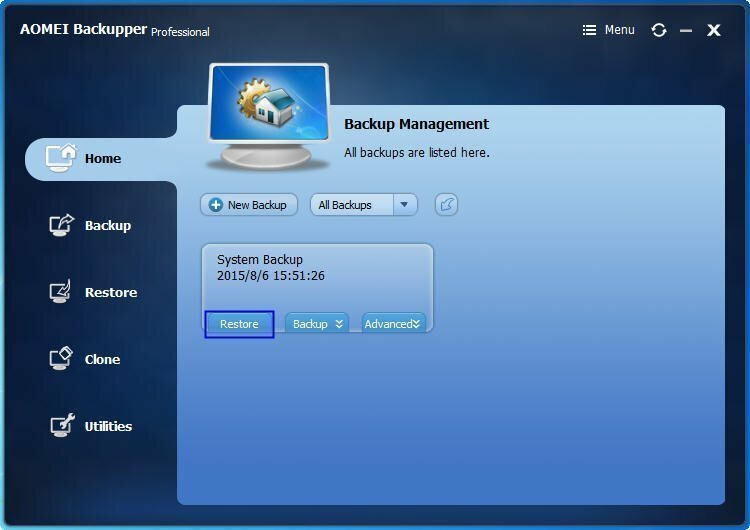 Click Path to select the backup point and click Next. Step4. Then, you need to select the destination space where you would like to restore the system image on, click it and click Next. Step5. Here you can see the operating summary. Confirm the information. If there is no trouble, click Start Restore. You may notice that there are some other settings under the page. Edit the size of partition: you can use it to edit the size of the partition you like. 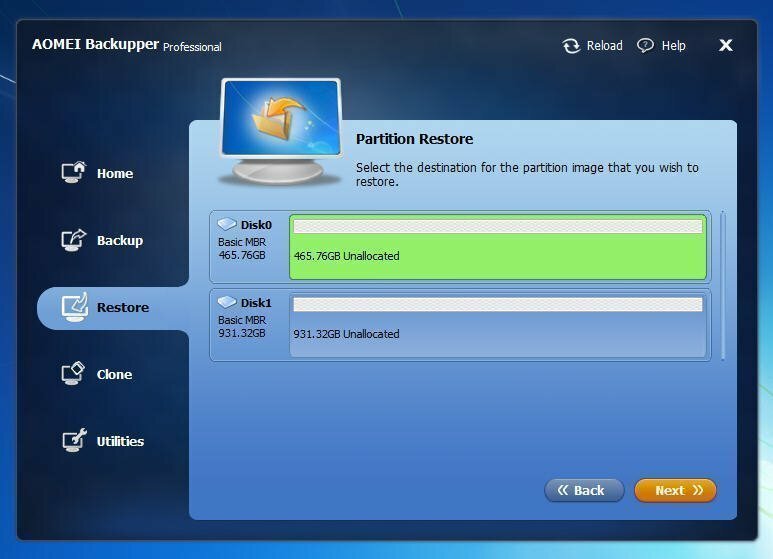 Enable Universal Restore: here you can tick the box, because you are restoring the system image to a new SSD, which is a universal restore in a certain way. Align partition to optimize for SSD: this is designed specially for SSD, here you can tick the box too, because it will improve the performance of your SSD.